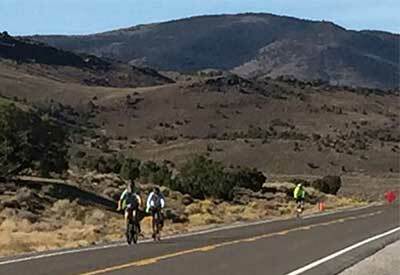 OATBRAN Ride continues on US Highway 50 across Nevada. My last write-up featured the start from Lake Tahoe to the Lunch Stop at Bean Flat between Austin and Eureka. This the continuation of the ride and includes *Notes to the Mochila”. In honor of the Pony Express, we ask each rider to carry a saddlebag (Mochila) from Rest Stop to Rest Stop (Pony Station to Pony Station) and write a note about the experience of riding that segment. Then pass it off to the next rider. 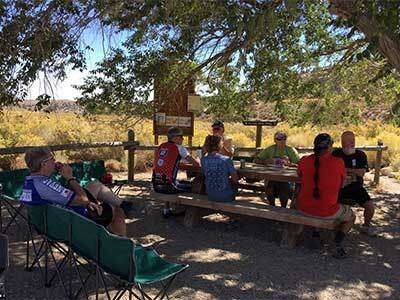 The Bean Flat Rest Area is a wide paved area with a couple of picnic tables and some shade and OATBRAN has utilized this area for the lunch stop for the past 27 years. On this day, the weather was perfect and there may have also been a gentle tailwind. Another beautiful Day as the OATBRAN Tour continues east on Highway 50. Four Summits to cross today Starting with Pinto Summit, Pancake Summit, Little Antelope Summit and Robinson Pass. I started my day early with my traditional road inspection up and over Pinto Summit down to the Newark Valley. I love the quiet time and early morning sunrises in this Central Nevada location. Breakfast was served at the Eureka Senior Center and always features eggs, bacon, sausage, pancakes, as well as biscuits and gravy. And, lots of hot coffee. 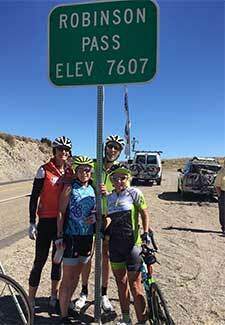 With all riders fueled up they were ready to hit the first climb up Pinto Summit heading east out of Eureka. After a great descent down into the Newark Valley the Loneliest Road continues across the valley and climbs up to Pancake Summit where the second rest stop has been traditionally offered. From Pancake Summit, OATBRAN continues east into the Crescent Valley and up a beautiful canyon to Little Antelope Summit followed by a long and gradual descent. Our original Lunch Stop on this day was at the Hamilton – Illipah Historic Marker, half way down this descent on the left side of the roadway. Last year about a mile west of this area, NDOT paved a huge turn-out work area. literally big enough to install a circus tent and since it was on the right side of the roadway we moved this day’s Lunch to this much larger and safer paved area. The remainder of this day’s mileage included a respectable climb up and over Robinson Pass at 7,607 Feet followed by a nice descent into Ely. Everyone made it into Ely and Checked in to their Cell at the Jail House Motel & Casino. 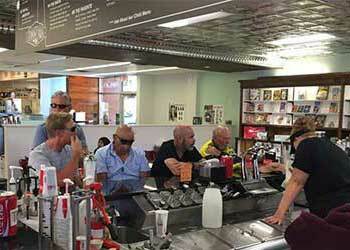 Many ventured down to the Economy Drug Store to their Old Fashion Ice Cream Soda Fountain. We enjoyed a Thanksgiving Turkey Dinner with the Ely Ladies of RHO and Kyle Horvath from White Pine County Tourism greeted and updated everyone with information on upcoming trail building and biking opportunities. Beautiful Morning with cool temps again… 29F at the bathrooms in Steptoe Valley before the climb up Conner Pass… Coming down Conner, one can see the backside of Wheeler Peak and this view in Spring Valley is truly the “AWE” in Awesome! On this Final Ride of OATBRAN, I drove out to Major’s Junction for my road inspection and caught the sun rise over Wheeler Peak… It was cool this morning but the predicted high temperature at the Border Inn was to be 87F. When I got back to the Jailhouse, some riders were already hitting the road. This day called for shifting rest stop teams to allow myself, gear truck and two 15 passengers van to be at the Finish Line at the Border Inn to set up staging and unloading and reloading of supplies and well as racking bicycles onto the transport vans… all at the same time to coordinate photos with finishers, direct them to showers and coordinate one of the vans to take participants to the Great Basin National Park for our Special OATBRAN Lehman Cave Tour. Our first rest stop was at the base of the Conner Pass climb; the second at Osceola Junction at the base of the Sacramento Pass climb, and the Lunch Stop was set on the backside of Sacramento Pass about 20 miles from the Utah Border. “One of the best segments over Conner Pass… Lots of Downhill to Osceola Junction. Brought back fond memories of summiting Mt Muoch to the north of Sacramento Pass so many years ago on a snowy odd October day. I don’t think windmills do much for the scenery”. – Carl K.
Several Riders attempted to ride to the top of the roadway up Wheeler Peak… adding another 5000 feet of climbing and 20+ more miles. 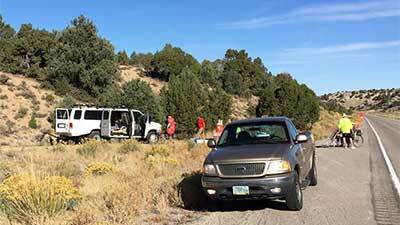 Everyone got cleaned up and kicked back at the Border Inn, while others enjoyed the Lehman Cave Tour at Great Basin National Park. It’s an Oatbran tradition that every participant is recognized with an Award at our final banquet. We pride ourselves for our ‘Tongue In Cheek” approach to have fun with all the riders each year. “If we happen to Offend You . . .Tough SH!T” and all in FUN! This award is given to the one rider who exemplifies not only riding every mile of the tour, but also making friends with all the other riders and making the tour fun for all. It doesn’t matter what kind of bike one rides or how many kits you wear, or how many miles you ride each season. 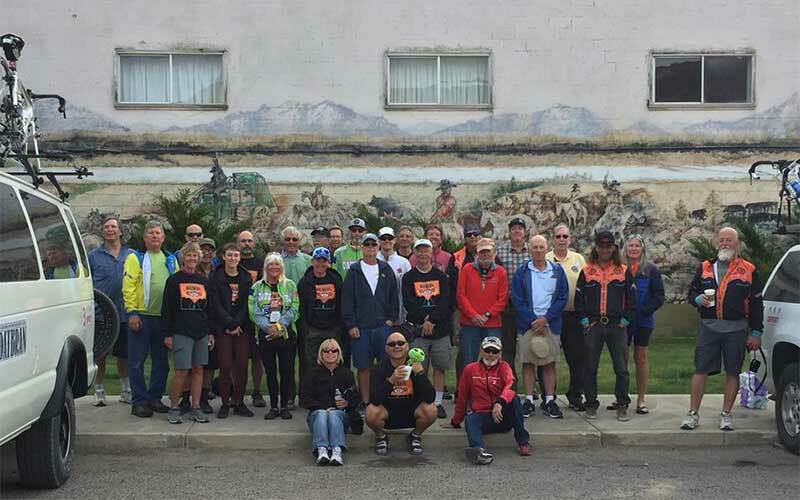 It’s about enjoying each day’s ride across the Great Basin and recognizing what hardships, those that came before us, experienced against the harsh elements and terrain making their way to find “home” and start a new future. it’s all about heritage of Nevadans! 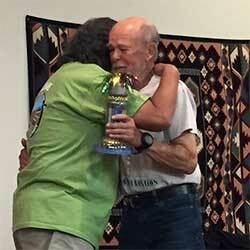 This year we Honored a Special OATBRAN Rider that completed his 17th OATBRAN at age of 83. 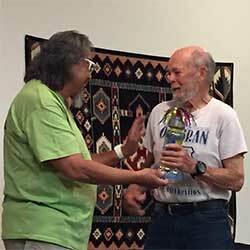 He has ridden his recumbent over 83,000 miles (65,000 human-powered – 18,000+ hybrid electric assist). We Love Jimmy and hope that he is able to join us next year as he represents the true meaning of OATBRAN Family. God Bless! I want to thank this year’s Team Bike the West – OATBRAN Crew for their outstanding service provided to all the participants and the camaraderie that develops from great team work. Big Thanks to Trevor Brown, Reggie Peterson, Di Bolton, Corey Bolton, Phil Alvarado, Tina Keegan, Michael Chapman, Leo Peterson, plus Cal Pettengill and Charles Nelson for assisting and a Huge Heartfelt Thanks to Randy Wagner. We are sorry to hear that many, including myself, got sick. food poisoning symptoms from ingesting either dinner or appetizers on our final night. We have expressed our concerns to both the Border Inn and Juanita’s and there is no defined suspect food item that we can narrow it down to. Some, like myself was affected at 4:00am in the morning. Others after breakfast, and yet others once on the roadway and delayed reactions for some in the late afternoon and that evening. And for those that did not get sick. Here’s another Toast! We hope that you all truly SURVIVED THE LONELIEST ROAD! We want to Thank YOU! All the participants for making this 27th Annual OATBRAN a Great and Safe Ride. 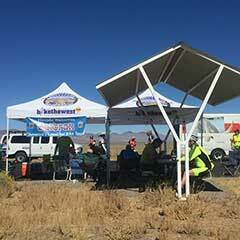 We had the best in Weather and our Team Support was outstanding, executing all assignments and Rest Stops. 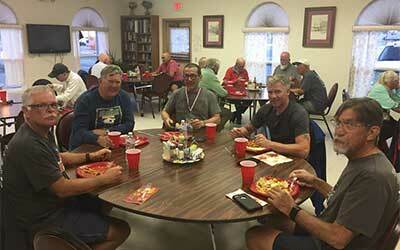 You are now members of an elite group of bicyclists that have pedaled across America’s Loneliest Road. 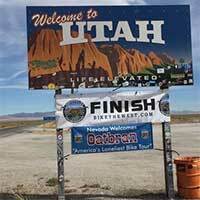 We hope that you enjoyed every mile that you wanted to ride and that you discovered what it was about wanting to ride across Nevada, that determined your decision to join us. Ride On! We hope that you continue your journey to search out other adventures at Lake Tahoe, Fallon, Austin, Eureka, Ely and Great Basin National Park in Baker, Nevada. You are all now OATBRAN FAMILY and are invited to join us again as Oatbran Family receives a 10% discount on all future rides. We are setting the dates for the 2019 28th Annual OATBRAN to start on Sunday, September 22-28. There are two seasons around the Lake Tahoe Region. One is Winter and the Other is Road Construction. The road construction season has been successful with many projects that were greatly needed as well as many projects adding new bicycle and multi-use paths opportunities around Lake Tahoe. As the road construction projects start to button up by the end of October, most folks are now turning their attention to Winter and wondering what kind of ski/snowboard season will we have? El Nino, La Nina . . . Farmer’s Almanac, Average Winter, Record Winter, Cold Winter, Wet Winter, Drought. . . . Your guess is as good as mine when it comes to predicting the Winter and take into account the effects of global warming and who really knows??? Regardless of where the Winter Reality Checks are coming from. Most all resorts are gearing up for Winter. The big question is: Epic Pass, Ikon Pass or independent Resorts? Vail Resorts continues to purchase resorts and offer their Epic Pass allowing access to all their partnered resorts in the US, Canada and in Europe. For $929.00. The Epic Pass offers unlimited, unrestricted access to 19 mountain resorts plus additional access to 46 more, including 20 new mountains for the 2018-19 season. Discover 65 of the world’s premier resorts throughout the United States, Canada, Australia, Japan, France, Switzerland, Italy, and Austria. 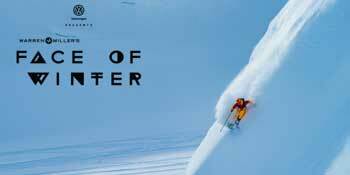 Alterra Mountain Company continues to purchase and partner with resorts and is offering their Ikon Pass for $1049.00. This new season pass is accepted at the most iconic mountains across North America, Australia and Japan, including Squaw Valley, Alpine Meadows, Mammoth Mountain, June Mountain and Big Bear Mountain Resort in California. For more information on the Ikon Pass, please visit www.ikonpass.com. Mt. 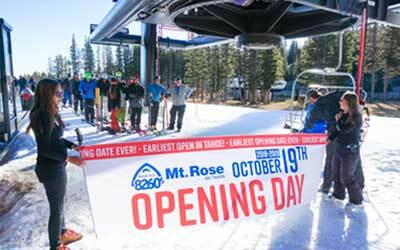 Rose Ski Tahoe, an independent resort, is in the midst of another $2 million in capital projects designed to improve its mountain facilities and enhance the overall guest experience during the 2018-19 winter season and beyond. Major snowmaking construction includes the installation of 17 new snowmaking towers complemented by additional high capacity pumps. Facility improvements include parking lot upgrades, restroom remodels, and new resort signage. The resort opened for season pass holders the weekend of October 19, 20 & 21, 2018. For those who plan to take advantage of one of the longest seasons in Lake Tahoe, Mt. Rose offers convenient access from both Reno and North lake Tahoe and the freedom to ski with a variety of season pass options. New passes to the resort’s already successful mix include the MY Pass +(2 days midweek) as well as well as the Midweek+ (Sunday through Friday). Learn more about Mt. Rose Ski Tahoe or purchase a 2018-19 winter season pass at www.skirose.com. Follow Mt. Rose Ski Tahoe on Facebook at www.facebook.com/MountRoseSkiTahoe, and on Instagram @mtroseskitahoe. So, it’s time to get ready for Winter. Decide on what kind of Season Pass will work for you. Get your equipment tuned up, waxed and dialed in. Change over to your snow or winter tires. and start Praying for Snow!